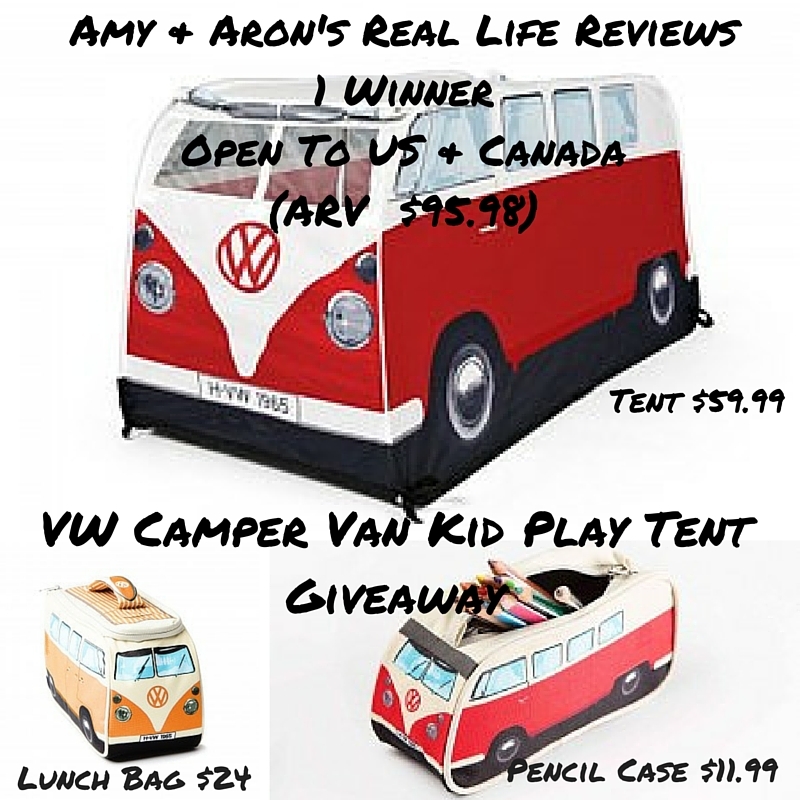 One Lucky Winner will receive 1 VW Camper Van Kid Play Tent, 1 Lunch Bag, and 1 Pencil Case; valued at $95.98. A very special thank you to all of my awesome co-hosts. Thank you so much to all of the bloggers participating in this giveaway. Without you, it wouldn't be quite as much fun. Now for the fun stuff. This giveaway is open to US & Canada. There are daily bonus entries for sharing this giveaway on your social media channels. I can't ask you to "Like" our pages but, if you see something you like, let us know so we can bring you more of it. We LOVE it when you LIKE our pages. Winner will be mailed prize directly from The Monster Factory. 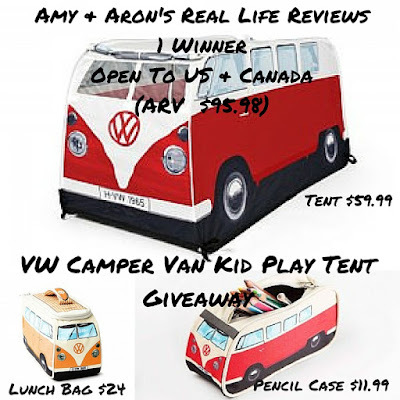 No Bloggers Participating in this giveaway are responsible for shipping the prize. This giveaway is not affiliated with any social media platform, including, but not limited to Facebook, Twitter, Pinterest, and Instagram. Mixed Bag Mama was not compensated for this post. If I were to win, I would keep it for my grand daughter to play in at my house. Gardening Spotlight: Edible Radish Greens?